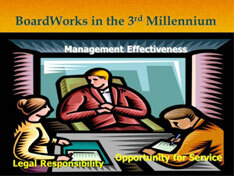 Boardworks for 21 Century Not-For-Profit is a workshop to help nonprofit arts administrators/business leaders improve skills and increase their governance knowledge. We address organizational behavior and structure of the not-for-profit in the day- to-day operations of the business. 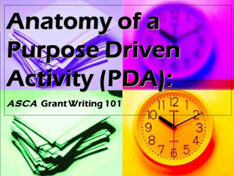 Anatomy of a Purpose Driven Activity: ASCA Grant Writing 101 is an overview of the grants process, with in-depth emphasis on the key components of the ASCA application, Common Pitfalls & How to Avoid Them and Building an Airtight Case for Funding. We pose the necessary questions that will help you to create programs that get funded, stay funded and are aligned with your mission.